Hi all, hope you are keeping well, I have been here in the office for weeks developing my own coaching program, it’s taken up nearly all of my time, but its nearly finished, I’m uploading the content as I post this. 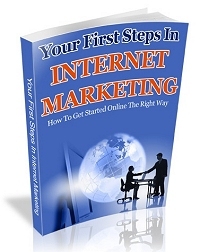 Now I am sure you know that the way to success online is having your own range of great selling products. But the rock in the road that all of us face is the sheer length of time it takes to produce the product. You know the research, the sales page, affiliate page, outsourcing the graphics and producing the product. I know having produced plenty of my own products that it takes up a lot of time. Have you ever wanted to join the big guns (the gurus) and have a list of online products as long as your arm? Do you ask yourself, just how do those guys do it? Product launch after product launch, pumping product out after product earning huge revenue for basically very little work! That’s the online lifestyle we all want to have, right? Well now you can have all those products done for you… Yes, you can cut out all of the time consuming hard work and join the ranks of the product developers and create your own profit pulling niche products within minutes from now. Really, it’s called Private Label Rights or PLR. So how can you do this? Actually it’s very easy. PLR experts Dave Nicholson and Dan Sumner, the guys at Instant Product Publisher have put together a not to be missed, only available for a few days, 12 PLR MEGA package which gives you your very own INSTANT online cash generating machines 12 of them! Remember, these guys have taken all the hard work from product creation, so you don’t have to. This is insane value right. BUT THERE IS A MASSIVE BONUS! Ok, this is package is unbelievable value BUT I want to take this to a new level! So I am offering my personal help in any aspect of your product development (even if you have never attempted to produce your own product before) I will work with you to make sure you successfully launch your own products from this package. Now I could and will soon be charging in excess of $197 for my help, so why am I offering such a high ticket bonus for FREE? It’s quite simple, as I said I have been developing my own coaching course. I am so confident that you will be completely blown away by my input that you will give me an outstanding testimonial for when I launch my own course. Sneaky eh? But I only need a handful of testimonials so I strictly limiting this bonus. Once all the bonuses are gone that’s it. What IS The Azon Arbitrage Secret?